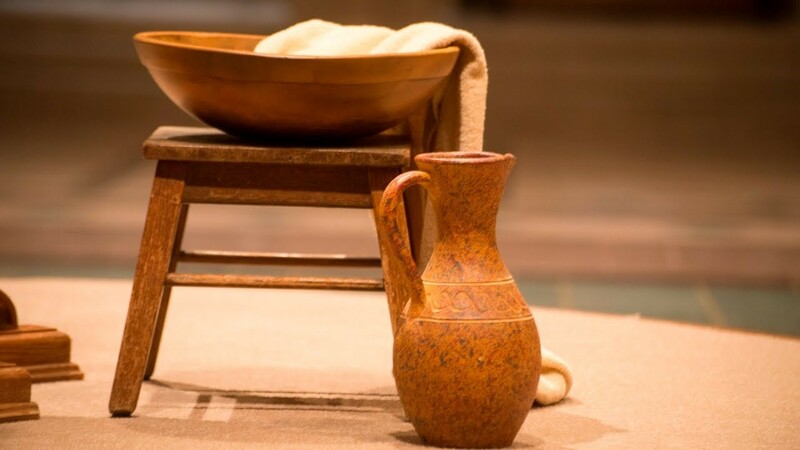 This year we will be observing Holy Thursday with a foot washing, and I am fully aware that just the thought of it freaks you out. But before you decide to stay at home, I ask you to read further and reconsider. Every congregation has its growing edge, and if the pastor sticks around long enough, he or she comes to recognize it. I believe I have been able to do that at Memorial United Methodist. By “growing edge” I mean that area of our lives that needs be stretched, even while we feel discomfort and our impulse is to resist. Our growing edge is in the areas of service. Not in our service to others – that would be our area of excellence – but rather, in our willingness to be on the receiving end. As a matter of fact, many of us seem to have evaded the thought that receiving is essential to the Christian life. Recall the exchange that takes place between Jesus and Peter at the last supper, the night before Jesus is betrayed, tried, and crucified. We are a congregation of Peter-type disciples, which is to say we are a Type-A Christian community. We are self-starters, and a take-charge group of people. Most of us come from careers in which we’re in charge of others or providing for others. We are doctors, nurses, teachers, social workers, and business leaders. We know how to organize and put a plan into action. Sit in an administrative meeting at Memorial and you will soon discover that we have far more leaders than rank-and-file. We don’t work the line; we manage it. And we never show up late. Early is on time. This has been good for our church and community; it has served us well. We excel and provide. We are a midsized congregation that supports four clergy, two music programs, and gives nearly twenty-five percent of our church income to worthy causes. Our accomplishments have been good for the children and teens of Thomasville and Davidson County, and good for the poor. We like goals and deadlines. Recently, I threw out a playful idea of collecting enough canned food during the season of Lent that, if we were to line them up side-by-side, they would reach from the Big Chair in the center of town to the altar in our sanctuary. We would measure our progress with a large barrel painted as a giant Campbell’s Soup can. As it moved along Randolph Street the city would take notice; we would need 6,400 cans. Some folks chuckled and questioned if we would get it done, which of course drove us to prove ourselves. We reached our goal with three weeks to spare and we are still collecting and counting. Being pastor of Memorial is like being assigned as teacher to the gifted class. Give the students a week to complete the assignment and they turn it in the next day with full intentions of earning an A. We know how to serve, but do we know what it means to be at the receiving end? Remember – the Christian life begins with taking. Taking Jesus as your Savior, taking the bread and from the cup, taking hold of your baptism, taking mercy and grace. Are we willing to take without expectation to return payment? The cost has been paid. Jesus said to Peter, the Type-A disciple, “Unless I wash you, you have no share with me.” So, come to the church on Holy Thursday and take off your shoes. Let the clergy wash your feet.